One of things I remember from our time in Italy was sitting outside in the evenings watching the stars appear overhead. Often it would be in a small local restaurant, but more often on the terrace at our place in Tuscany or overlooking the bay at Positano. I always remember thinking that among all those stars there were nothing I recognised. All the familiar constellations were missing. Being a kiwi, one in particular was sorely missed. Now we are home, looking up at night has that familiarity that was missing last year. 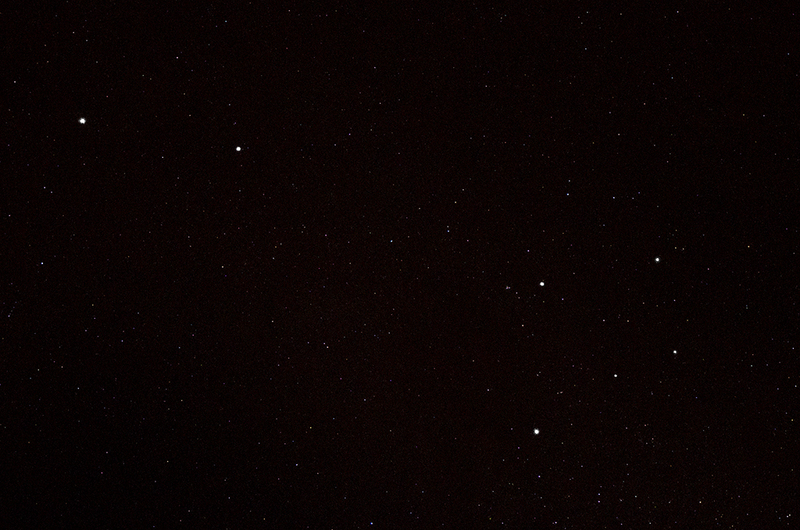 And, as always, there is that pair of bright stars pointing towards our Southern Cross. Note: Photo was taken using 18-70 zoom lens – 38mm, f4.2, 2 sec, ISO 800.